President Obama and his administration seem quick to assert that the multitude of terrorist acts perpetrated in recent history are done by individuals who do not represent the religion of Islam. This is their justification for not identifying these enemies of freedom as Islamic radicals or Islamic terrorists. 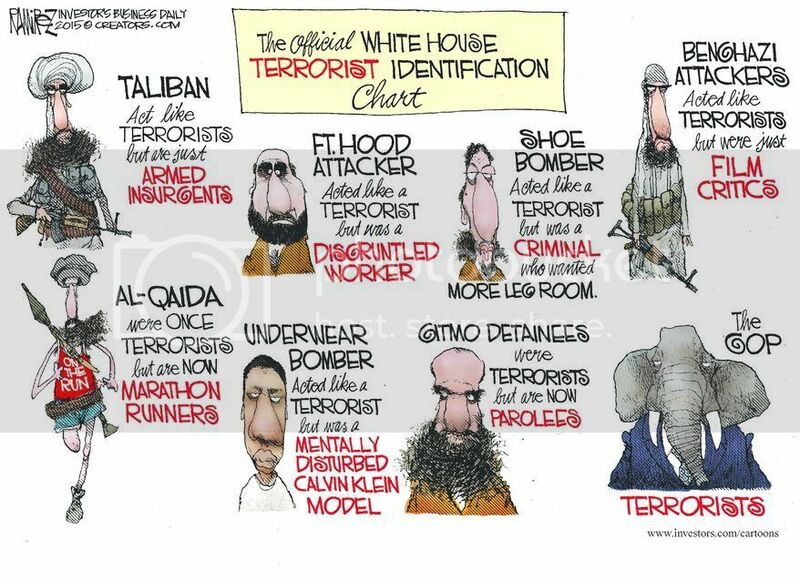 The Obama administration would have America believe that killers such as Sept. 11, 2011, mastermind Khalid Shaikh Mohammed and U.S. Army workplace violence purveyor Nidal Hasan are somehow false Muslims because their terrorist crimes are not in accordance with the tenets of Islam. If all this were indeed true, then the Obama administration should immediately confiscate the Korans, prayer rugs, halal meals and any other related articles of Islamic faith from all of these terrorists locked up in federal maximum security and U.S. military prisons. Rick (the author) is a genius. What a superb point. I hope Obama’s spokesidiot gets asked that very question at his next charade.